It seemed like winter was never going to end this year, but believe it or not we’re in the clear. 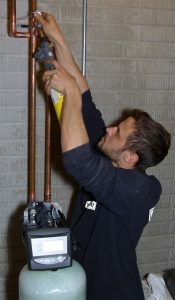 Now that Spring is officially here it won’t be long before we’ll be turning our HVAC systems from heat to cool. Here are 5 steps you should take to ensure your AC is ready to keep you cool this summer. If you cover your air conditioner over the winter months, your first step to preparing for cooling season and starting up the ol’ AC is taking off the cover. Starting up the system with it on could cause major trouble. 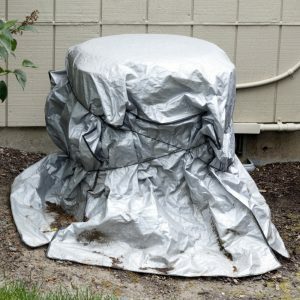 In fact we suggest if you are going to cover your air conditioning unit that you also turn off the power to the unit at the outdoor disconnect. This ensures that the unit can’t run until you’ve physically been out to take a look around it. If you didn’t cover your AC for the winter, it’s not a big deal, it just means you may have a little more clean up to do. Make sure to clean up leaves and twigs that are around or inside your AC unit. Even if you did cover your AC it’s probably a good thing to check anyway. It’s better to be sure than to assume and have sticks damage the blades of the condenser fan. Get any leftover cottonwood pollen, dirt or other build up off the air conditioner coil so it can efficiently disperse the heat from your home when the time comes. 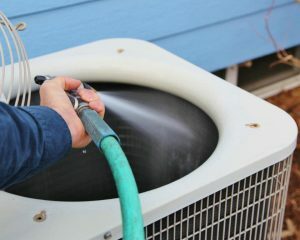 Take out your hose and spray around the unit working your way from the top down getting the fins clear of anything potentially clogging up the condenser. If you can spray from the inside as well, getting the coil clean from both sides. This usually requires removing the top of the unit though and may be more of a task than some homeowners care to do. Be sure not to use too much pressure when spraying. Using too high of pressure can damage the fins around the coil. Once you’ve completed the other items above your ready to give your cooling system a test run. This is best done when temps are at least in the 60s, but can be done before you may normally turn on the AC. Turn your thermostat to cool and adjust the set point low enough for the air conditioner to turn on. Let it run for a bit and check the airflow from the vents. If it’s nice and cold, you’re in business. If you feel like the air isn’t all that cool, it may be time to call a pro. There are various reasons to call a pro when it comes to air conditioning. We hope these step will help you avoid finding your air conditioner isn’t working on the first hot day along with many others. If you sense your air conditioner isn’t working right give Bryant a call. Our tech work quickly to find the source of the issue and provide the air conditioning repairs needed to get your home back to comfortable. If you’re system was limping along at the end of the year and you know it’s time for an air conditioning replacement, Bryant provides free estimates. Our estimators work to find a system that best fits your needs while knowing what rebates and special offers might be available to get you the best offer. You can also schedule a time for Bryant service department to thoroughly check your AC or get a free estimate for replacement online by completing our contact form. Bryant is here to help you stay cool this summer. 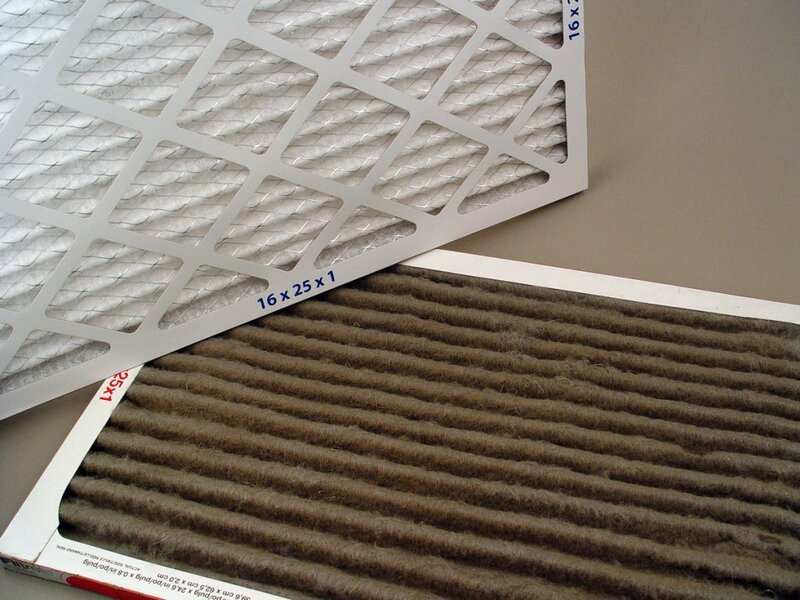 All central HVAC systems contain an air filter commonly referred to as a “furnace filter”. The air filter plays two key roles: ensuring optimal air quality in your home and prolonging the lifespan of your furnace, air conditioner, and furnace’s blower system. An air filter accomplishes this by removing dirt, dust and other particulate matter from your home’s air as it cycles through your return air ducts. 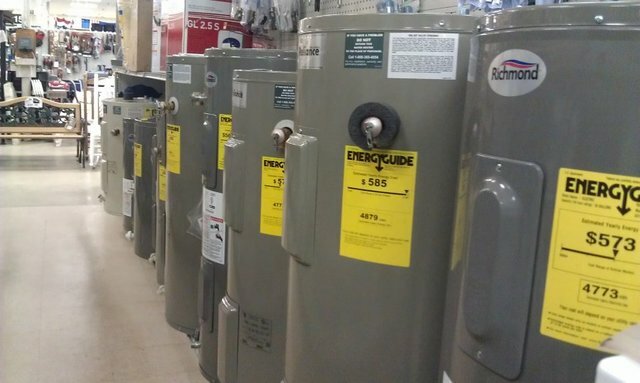 Usually when you’re selecting a water heater for your home you’re worried mostly about the amount of hot water the water heater will provide. 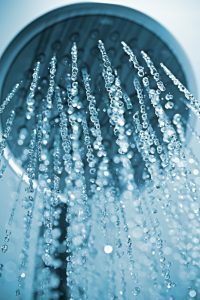 Did you’re old water heater provide enough for everyone to get a hot shower? It’s one thing to share bathrooms, but when you have a home with enough bathrooms you hope you don’t have the issue of not enough hot water! 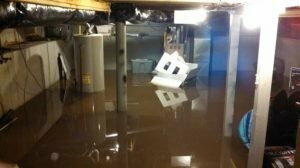 Whether you are looking to reduce the moisture build up in an existing bathroom or ensure the bathroom you’re building stays free of mold and mildew issues with proper ventilation. Here’s what you need to know. Ideally the best way to resolve high humidity in a space is to remove the source of humidity. Unfortunately when it comes to your bathroom that isn’t an option. So, what do you do when every five minutes of showering produces one-half pint of bathroom moisture? No one likes to come home to a hot house, especially during the steamy summer months in Lincoln NE. 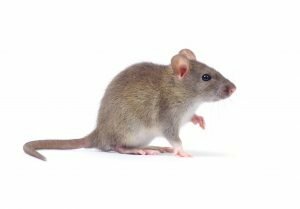 If your air conditioning unit just isn’t cutting it there may be a few reason and things to check to determine why. 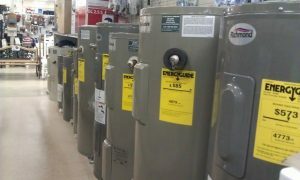 First things first, homeowners tend to think if the system is running a lot it must be undersized. That may be the case, but remember if your system is running for long cooling cycles it can actually mean your system is doing just what it is supposed to do. Today’s cooling systems are made more efficiently, so the act of running for a long period of time doesn’t always mean money out of your pocket or extreme wear and tear on your system. Remember ACs condition the home, not just cool the home. One of the most important tasks of the system is to pull humidity out of your home’s air. This is done only while the system is running so shorter runs often mean clammy air. A residential air conditioning system relies on several different components to ensure even, efficient cooling. Many of these components help refrigerant flow through the system. The actual cooling of your home’s air takes place inside your home by the component known as the evaporator coil. Cool liquid refrigerant flows through the evaporator coil, while warm air from your home moves across its small refrigerant lines. Modern day air conditioning takes cooling your home farther than the olden days of an ice block in front of a fan though. The coil’s refrigerant absorbs the heat from your home’s air, causing the refrigerant to warm up. Then, having turned from a liquid to a gas from the increase in temp, it goes back to the condensing unit (outdoors) where the heat from your home is released. 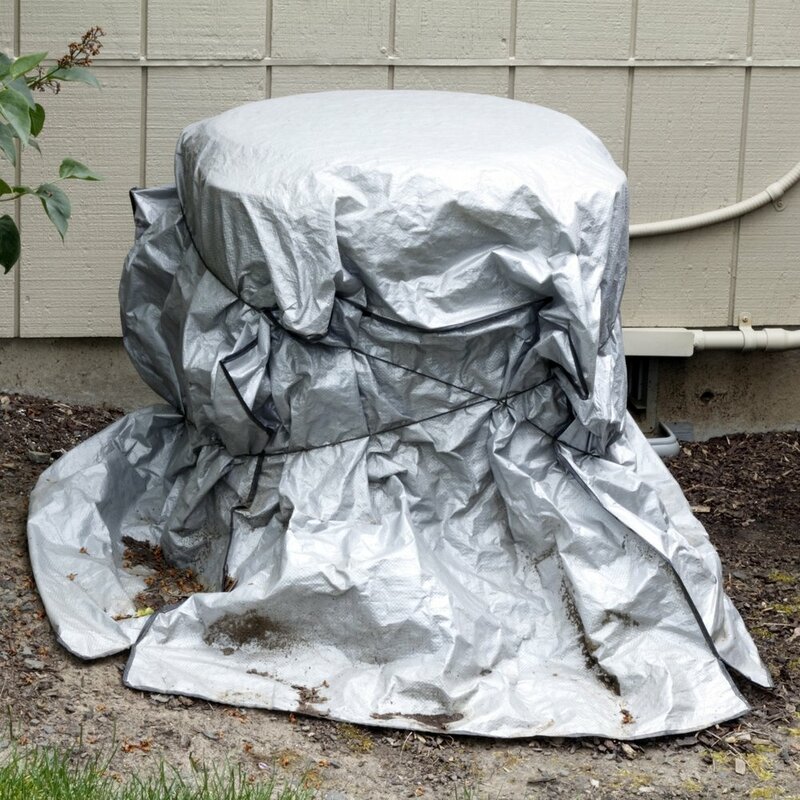 Unfortunately refrigerant can escape if there are leaks in the system, and often times they can be found in the evaporator coil.